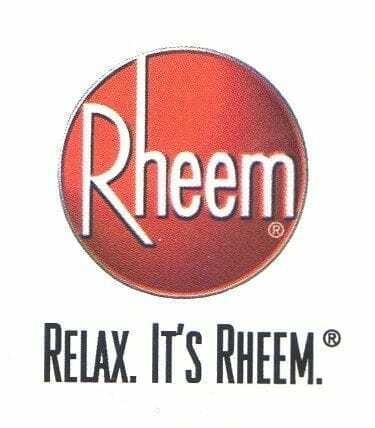 The Rheem water heater is considered one of the best brands available. Regardless of the type of water heater that you choose moving forward, the choice that you end up making is going to dramatically impact the money that you spend on your energy bill. It will also affect the overall comfort that you enjoy every time you turn the hot water tap on. A lot of folks choose to move forward with high-end Rheem water heater options. Before you start to shop for a water heater brand name, you need to know how to choose the right heater for your needs. And there are a lot of things to take into consideration. Believe it or not, your water heater often accounts for nearly 20% of your annual energy bill. That’s because whenever you use hot water to take a shower or bath, clean your dishes or your clothes, cook or wash your hands, your appliance kicks into use. When you consider how often you do those daily chores in any household, you will understand why that percentage is as high as it is. Overall, this is not an insignificant amount of money. The average cost for running a water heater all year round is going to set you back between $400 and $600 per year (according to the Department of Energy in the United States). If you want to be sure that you get as close to the low end of that scale as possible you need to be really smart about your choice of water heater technology going forward. The overwhelming majority of homes that were constructed more than than 10 years ago or so, took advantage of tank-based water heaters. Inevitably it’s the kind of water heater that you’re most likely to find in your home today. Tank style water heaters essentially have gigantic metal cylinders that work to heat up and maintain specific temperatures of water for use whenever you open the tap, offering anywhere between 40 and 60 gallons of hot water ready to go right then and there. Unfortunately, tank type hot water heaters (including Rheem water heaters which are considered to be among some of the most efficient in the industry), aren’t all that good at replenishing hot water in a hurry when the supply of hot water in the reservoir runs down. A lot of energy is used maintaining high temperatures and then reheating cold water that is pumped into the tank to replenish hot water that has been consumed. That’s where sky-high energy bills start to manifest. On top of that, you will run out of hot water very quickly if you try and take a shower at the same time that you have your laundry or your dishwasher running – and we’ve all experienced just how much of a headache and hassle that can be! Remember to consider the available space in your home when choosing a new heating system. Tank heaters are bulkier and small apartments likely won’t have space for them. Tankless water heaters are becoming “standard fare”, and for good reason. Overall, they are a lot more efficient than their tanked counterparts. They are also a lot more popular for new construction replacement models – and it’s really easy to see why! These “on-demand” water heaters only ever power on when hot water is required. They do not have a holding tank. Instead, a series of coiled up pipes run specific amounts of water through numerous heating elements. Through the continouous flow of water through the heating elements you get access to all the hot water you need, as you need it. Simply put, it’s a much more efficient system from top to bottom. Not only that, but these systems are a lot more compact and take up a lot less space in your basement. They do not require a 60-inch holding tank to act as a reservoir. They can be as small as 20 inches wide by 28 inches long by 10 inches deep. Almost all of them are able to be installed directly on the basement wall, or in some cases outside, to free up floor space. At the end of the day, Rheem water heaters – both the tankless and tanked models – are going to provide you with high performance, high efficiency, and lower operating costs. They are sometimes pricier than their competitors. But they boast advanced technology so if you have the budget for a Rheem tankless water heater, this is definitely the technology to take you into the future. It is the kind of water heating technology you’ll want to lean on if you want to keep energy costs low. It also improves the value of your home at the same time. Should you be considering a new water heating system, a Rheem hot water heater would definitely be worth a look at. We have a number of reviews on various models on this site, take a look at the overview of some of these below. This one is a little different from the other two. Firstly, it is a tank model. Secondly it is a hybrid. This means that it switches from heat pump technology to standard electric resistance when the appliance is under demand to produce hot water. Simply put, it uses a combines the sort of heating technology that a tank and tankless model use when in operation. You can read the full reviews on these products to find out more in-depth information about them.